Getting Your Photos in a Snap! 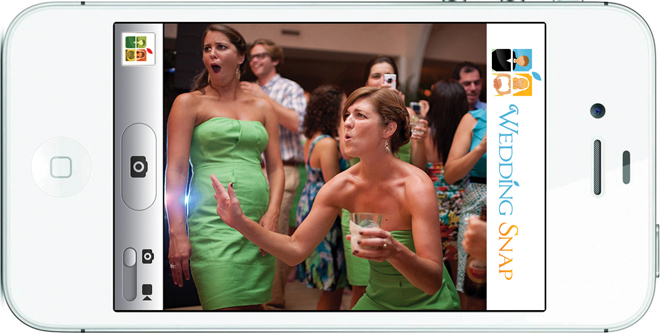 How many weddings have you been to where you see this horribleness (is that a word??) on the table? I’m sure you’ve been the culprit of taking or being in unnecessary, crotch shots, shoe shots, up the nose shots, blurry, mis-angled, and undeletable (that for sure is not a word!) shots! Depending on your guest count, purchasing these cameras, plus the processing fee can run you about $300. Half of the pictures aren’t worth being used and you end up wasting a piece of your budget on horrible photos. 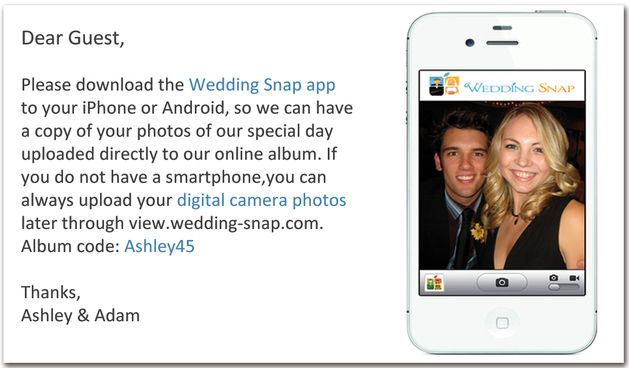 What if you could have guests upload photos automatically through their iPhones or Android phones while still at your wedding? The company is called Wedding Snap, based out of the USA of course, but servicing Canada and many other countries as well. Packages start at $99(USD) which includes a one year online, unlimited storage photo album, unlimited photo uploads during and after your reception. Additional packages supply you with additional albums to add to your account for your Bachelorette, Jack and Jill, Wedding Shower etc. You can also get 250 customized information cards for your couples to pass out at their reception with the instructions on how to download the app from the app store (free to your guests) and a username/password to upload the photos to your private album. Guests who have a Blackberry (I know, I know, I’m switching soon!) or would like to upload photos from their digital cameras after the reception can do so online. The process is similar to uploading photos to Facebook! Afterwards, with the click of a button, you can download all the photos to your computer to print, upload photos to Facebook to share or send prints to your online printing store to print! If you want something different and so special that your guests will be in awe over on your wedding day, we’ve found the perfect thing for you! Bridal bouquets, while beautiful and deep in tradition, are often a big expense for something that lasts only a few days – if you even keep it! The Bouquet House – a luxury bouquet boutique located just outside Toronto – creates unique bouquets for your wedding day. 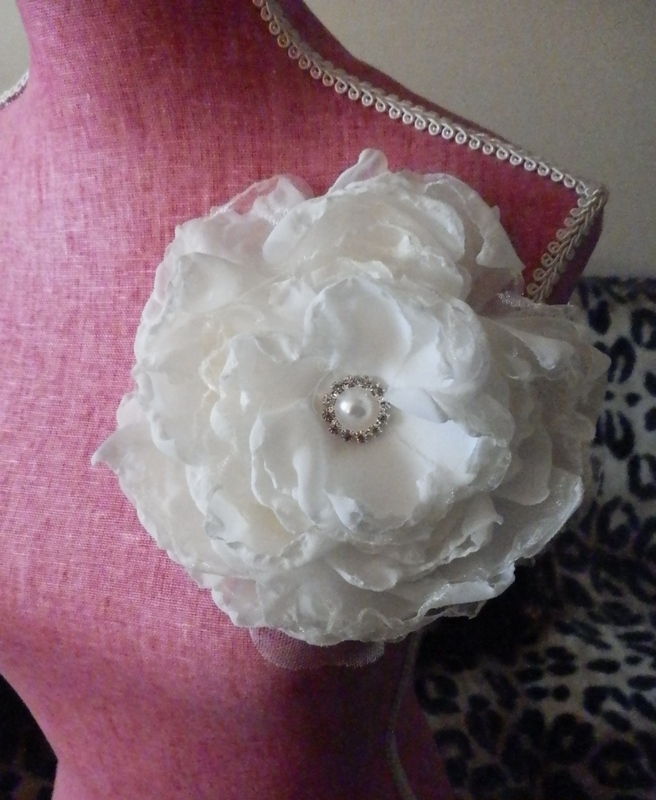 Bouquets made out of vintage brooches, buttons or faux flowers are handcrafted to create a custom piece for your big day and a keepsake for years to come. Family heirlooms such as brooches, crystals and other keepsakes can be added into bouquets to make it unique to each bride. 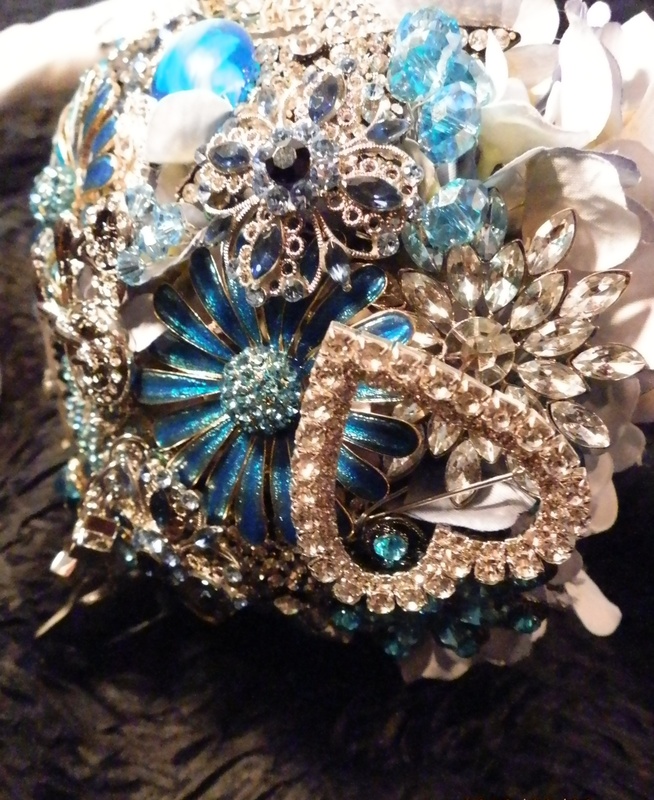 Brooch Bouquets start at $350CAD, button bouquets start at $125CAD. Both are designed and created to match the personalty, style or theme of the event. Shipping for anywhere in Canada is a flat rate of $10CAD. Other items that can be used to make a bouquet are: feathers, lace and wire, or just about anything else! 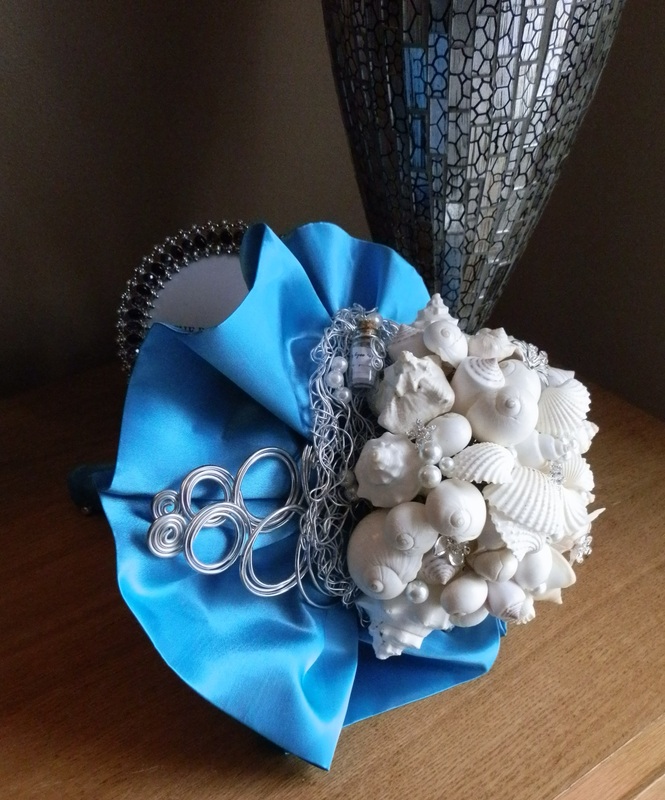 Pins and picture frame attachments are also available to dress up your bouquet. The Groom’s Boutonniere is included in the cost of the bridal bouquet and can be created to compliment the bride’s design or be completely different. 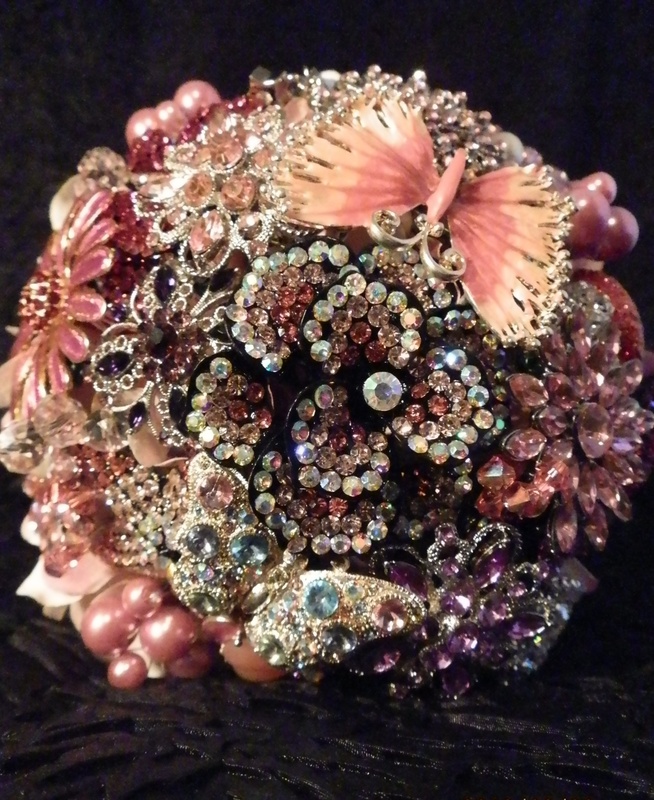 In support of The Canadian Breast Cancer Foundation, The Bouquet House donates 10% of the sale price of any PINK brooch bouquet purchased. One more thing that I totally love is the corsages. Whether these are used for a wedding for the mother of the bride or groom or just to dress up an everyday outfit, I totally love them! Imagine it on your blazer??? Sure the standard guestbook you can purchase at a variety of wedding stores are pretty, match your theme and colours and do the job, but what exactly are you to do with it after? Does it sit on your coffee table for people to look at when they come over? Does it hang on your wall for you to view every day? Can it sit on your mantle as part of your home decor? Probably not… Chances are, you purchase it for your wedding, guests sign it on the day of giving their well wishes, and it’s stored in a box for “later viewing” by the bride and groom. Some couples might not even open the guestbook once to read it! 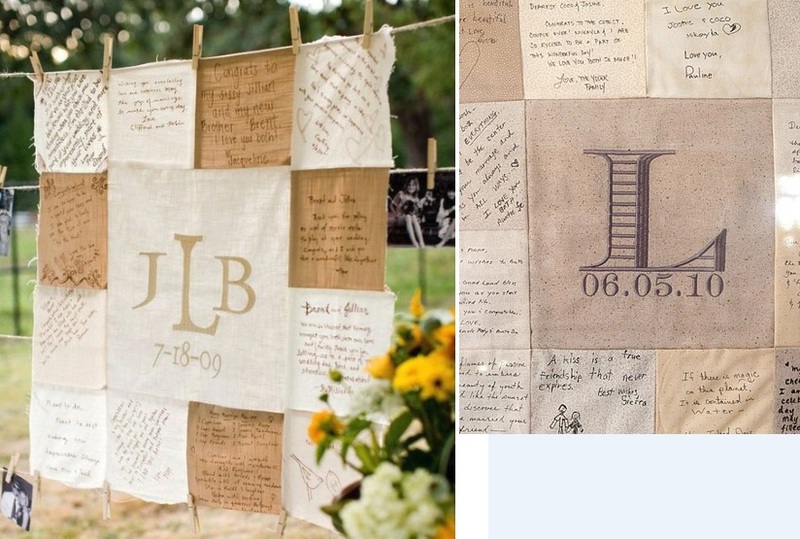 This blog will give you some creative, unique and decorative ideas for wedding guestbooks that you can later display in your home as part of your decor! 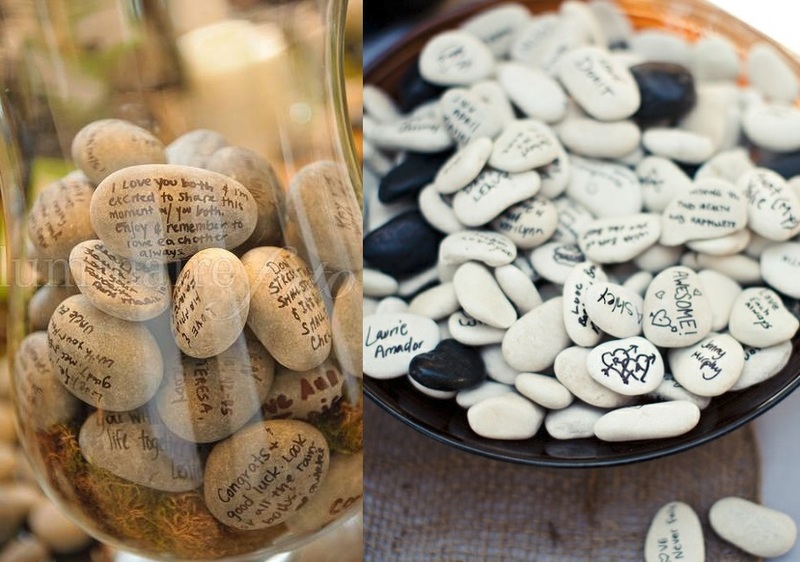 River Rocks are a great idea for guests to sign. Collect rocks from your favourite beach or river near your home or they can be purchased from craft stores. Guests can write on them with permanent markers. Buy a pretty and unique shaped vase for them to go into and showcase them on your fireplace, in your backyard or somewhere in your house. These well wishes from your guests will warm your home and also add to your decor! Blank puzzle pieces can be purchased from a craft store near you. 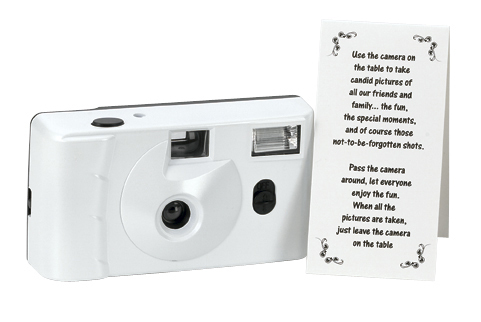 Spread them out on the receiving line tables for your guests to sign with permanent markers. Use black markers or 1 colour that matches your wedding for a consistant look. Or else use a few colours that compliment each other for a fun look! Giant letters in either your shared last initial or both of your first initials can also be puchased from a craft store or a home design store. Have your guests sign these with markers, hang them in the entrance of your home for everyone to see when they come to visit! If you, or someone in your family is crafty enough, have them make a quilt out of either new fabric or old pieces of fabric from your childhood (old clothes, blankets etc). Have the guests sign this on the wedding. If you will be using this as a blanket, make sure you have proper markers that won’t wash out. If it will hang on a wall as a decorative piece, permanent marker will do just fine! 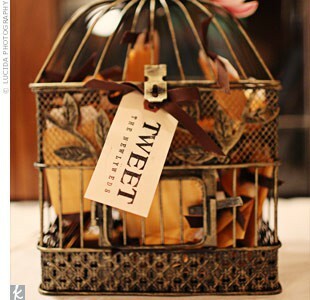 Maybe the bride and groom-to-be are avid Tweeter’s and love technology, this is a cute way to showcase your guestbook. 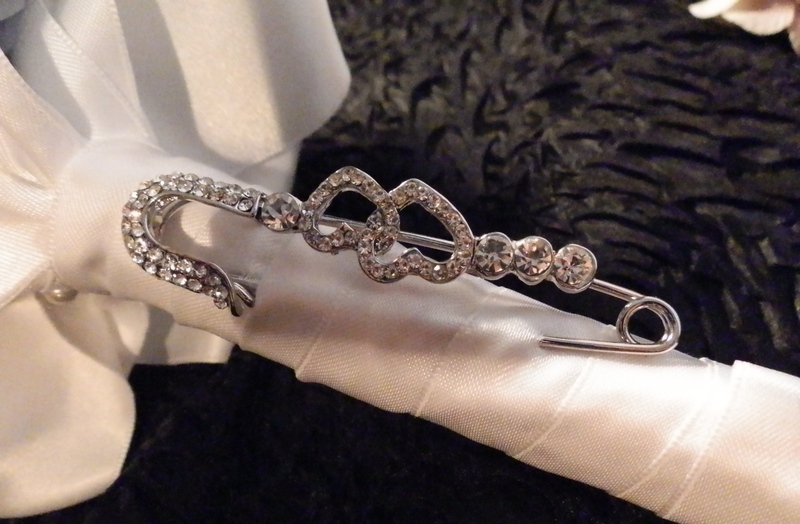 Have tags made or puchased with corresponding ribbon that match the wedding. Tweet the Newlyweds! 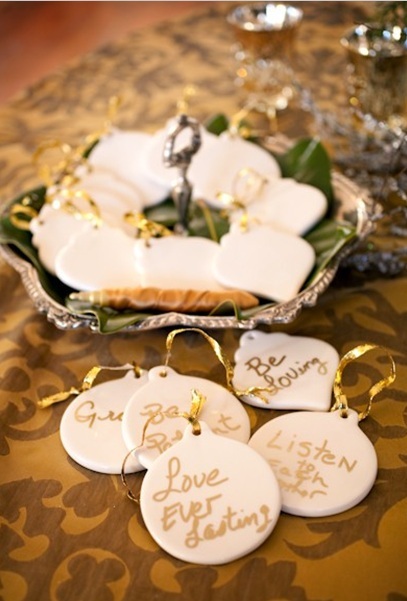 If you are having a winter or Christmas themed wedding – why not have guests sign ceramic Christmas ornaments you can later hang on your tree? Use gold or silver markers! I hope you take some of these ideas and use them for your own weddings! Make your wedding as creative as possible! *please note, none of these photos belong to me. They were found on pinterest.com and are from various blogs.